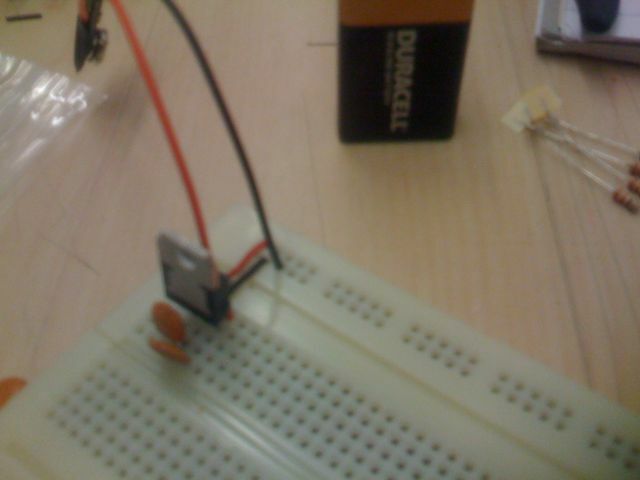 The breadboard setup with a voltage regulator to power the board at 5V from a 9V battery. 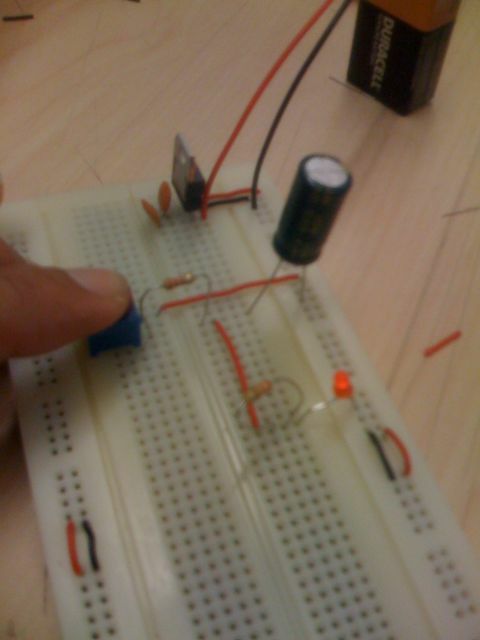 A circuit with capacitors that causes the LED to fade in and out when switched on or off. nice job man, can i see a working video? 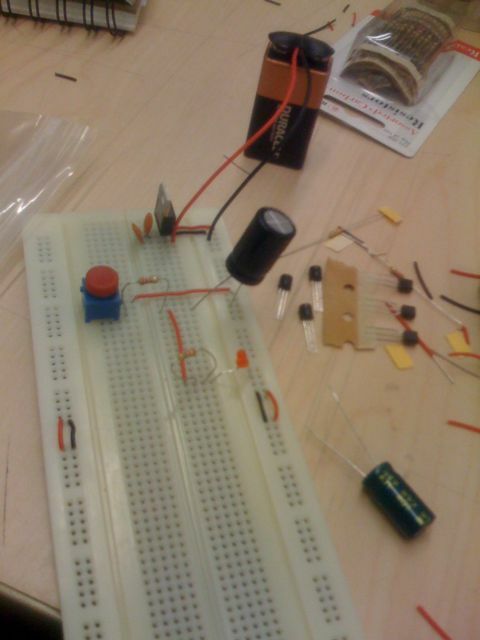 im trying to work on something similar for my psp… would a smaller capacitor (much smaller) just increase the “pulsing” intervals?